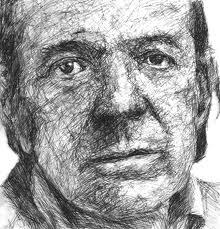 What does Semetsky (drawing on Deleuze) mean by this? And what are the implications for teacher training? This is a highly charged and significant process. Learning from this kind of experiential encounter requires of the learner that he/she bring the ‘assemblage of the unconscious to the light of the day, to select the whispering voices, to gather … secret idioms from which I extract something I call my Self (Moi)’ [Deleuze & Guattari 1987, quoted p 49-50]. In our faculty, we call this process ‘pedagogical reasoning’. We seem to be promoting exactly what Semetsky and Deleuze call learning. But I’m not so sure. Too many of our students experience our course less as a shock to adapt to and more of an unpleasantness to endure. There is less ‘becoming other’ than we would like to think, and more a retreat so that the student can emerge relatively unscathed when the course is over, with theory dismissed as irrelevant, and the original sense of self in tact. I think there are a couple of reasons for this. First is the way we sometimes present theory: we imply that theory is tested knowledge and that the students’ task is to take the theory and put it into practice. We imply that raw experience is just that, a dodgy guide to good pedagogical practice. ‘Your teaching needs to be tempered by theory,’ we say, explicitly or implicitly. Theory and practice are two things, we end up implying. This is not how Semetky (or I) see it. We experience something, we sense the inadequacy of our previous thinking, and we are compelled to think more powerfully. Other people – in conversations, through their writing, or in lectures – help us to think the unthought, to see what was previously invisible. But this is not because they (the teachers, the researchers, the thinkers) know and we (the preservice teachers, the students) are ignorant; this is not because practice is a rough guide and theory is reliable. It is because experience and theory are, like Spinoza’s body and mind, two sides of the same coin, iteratively and substantially co-joined, neither telling the whole story, needing each other for meaning to be created. Theory – whether it comes from the outside or the inside – is just our way of bringing to consciousness the unthought, a way of relieving the pain or unusable pleasure of the affect. By giving theory primacy, we leave some of our students feeling undermined, misunderstood, undervalued and/or angry. They retreat rather than engage. The second reason why some students will not, or cannot, engage with our courses is to do with the move away from face-to-face teaching. Students need to be helped to engage with the uncomfortable shock of encountering the unknown, with the as-yet unthought; it is relationship (formed through face-to-face encounters) that allows this to happen. My face-to-face contact time with my students has been reduced by half over the last three years. The content remains the same, and so there’s much more online preparation and interaction (and so teaching takes up just as much time as it used to). Some of this online work is innovative and stimulating, and allows for new ways of engagement, … but only if it’s built on a bedrock of face-to-face relationship. This semester I will have only four tutorial sessions with my students. Some of my them are now less engaged with, and less affected by, the course work than I would have expected. They might still express approval in USS feedback (though it’s dropping), but perhaps that’s because our courses are now better adapted to their over-committed lives, not better adapted to their learning needs. Articles like this one help me make sense of uncomfortable trends; they bring to consciousness whispering voices. This entry was posted in Teacher education and tagged Deleuze, Semetsky, student resistance, teacher education by steveshann. Bookmark the permalink. It’s 6 months into the year, and the other day I had my first breakthrough moment with yr 10 where they asked me about why I was teaching them something, we talked about the syllabus, we talked about why I was taking the approach with them that I am, and had a general conversation that indicated that at some point we might all be part of a journey where our relationship mattered, rather than a system. And that’s with NOTHING but face to face learning and the chance to build a relationship. Almost everyday I “encounter the unknown and still unthought.” Only half the time does it seem like an experience not a challenge, but the satisfaction that comes because I’ve developed relationships that have helped me to understand that a challenge is ok is a huge relief. Your response gladdens an old heart. I think a well designed online course can provoke the kind of investigation you talk about. I think the course has to be designed around “explorations” that ask students to wrestle with the concepts that you are trying to teach. My experience with online course work is that it puts more on the student, though the teacher has to plan well and set up the proper “maps.” I think part of the problem you bring up here goes back to the assessment. How do we grade. If our grades are based on how well students have discovered what we have asked them to find we get the kind of result you speak of, I think. Of course, if we believe in what we teach, this has to figure into the assessment at some level. But if we want students to experiment and through their experimentation engage us and bring us to the place where we question and explore the “theories” we hold then a part of the assessment has to expect students to seriously challenge us and reward them when they do. I think part of this is getting back to the meaning of the word “theory,” that is something that the facts so far seem to support but that is not so conclusively proven to be set in concrete. Of course, I am only teaching high school kids so the bar is not set nearly as high for me as it is for you and this may not actually relate to what you do. But it has been my experience that if I am not getting what I want from students part of the problem is assessment. Students give me not what is best for their actual learning, but what they think I want them to “report back to me;” the things they think I expect them to find. Part of the trick is getting students to believe that what we want them to find are the things you talk about here. Much easier said than done of course. Hope all is well with you. How splendid to hear from you again! I have been thinking about your definition of theory: ‘ something that the facts so far seem to support but that is not so conclusively proven to be set in concrete’. I wonder if this leaves enough room for theories that are speculative, risk-taking, based on intuition. Or would you call these something else, not ‘theories’. And I hope all is well with you too J.D. Your thoughts are always so welcome, so well considered, and so beautifully expressed. I was just trying to leave room for hypotheses. I think it is useful to use both names because we know where we stand in each instance. With theory we have worked an hypothesis to a level of greater certainty, it has become a bit more than a work in progress. Today it often seems to me we use theory to refer to something that is pretty near a certainty. In science circles a theory is something a researcher has worked through to a degree of certainty and is putting it out for colleagues to duplicate in their own laboratories. But I certainly have no problem with people using theory for speculation and risk taking so long as those doing the risk taking and speculating know the difference between those and the more fully developed type of stuff. I think of hypotheses as half-way houses of sorts where we get our ideas ready for the real world. It might be interesting to set students up in small groups and have them “meet” in a Google+ Hangout (to discuss the theoretical constructs you/we would like them to actively engage), followed by a piece of writing– perhaps a blog post?– that extends each individual student’s thoughts from the group conversation, followed by required commenting on the work of others in the small group. This combines face-to-face work with the development of real relationships; within that context, the theoretical can more easily be examined; and, it puts the responsibility for the struggle with the cognitive aspects squarely in the laps of the students. When you say, “By giving theory primacy, we leave some of our students feeling undermined, misunderstood, undervalued and/or angry. They retreat rather than engage” I find myself wondering if there aren’t some assumptions on the part of teacher educators– us– that contribute to to the feeling of betrayal our students may feel. I use ‘betrayal’ because it not only captures some of the feelings you’ve listed, but it also implies the presence of a betrayer. I fear that we are all too often those betrayers. Why? Well, what have we done to show our students *how* to make theory meaningful? Do we assume that, because they can read, they can *utilize* what they read? You quote from Semetsky, above, a lovely quote. It makes me stop for a moment, turn that thought over in my own mind, see if I recognize some aspect of my self in it. Then I dig around for a lived experience of my own that might help me to expand on Semetsky’s thought or to challenge it. Then I listen for reverberations from other theorists, check back with my lived experience, Semetsky, etc. This is the process by which I ‘”select the whispering voices, to gather … secret idioms from which I extract something I call my Self (Moi).” I like to tell students that dealing with the theory in this way helps me *think* about teaching, not just *feel* it. They, like all brand new teachers, feel the experience so deeply that they need some help to not drown in that cognitive and emotional dissonance. Theory is a kind of lifeline, I explain. This is the degree of transparency I believe is necessary for bringing theory out of the clouds– *while* we are also drying tears, quelling anxiety, or simply standing with these new colleagues on very unsteady terra firma. It’s pedagogical reasoning, yes, but in very personal terms. In other words, pedagogical reasoning is the process by which theory becomes deeply personal. If we do not teach students that this is a process, if we do not give them concrete steps to take, if we do not ask students to practice this process or monitor the progress in their own thinking, then I suggest we have committed an act of betrayal. It is much harder to do this in a blended environment than F2F; I certainly don’t envy you having to. But I do think it can be done. It’s lovely to hear your voice. And yours, my friend! And especially enjoyed your voice when you wrote: ‘they need some help to not drown in that cognitive and emotional dissonance. Theory is a kind of lifeline, I explain.’ I like that image. It underscores the active usefulness of theory. Semetsky’s quote at the beginning of the blog really resonated with me as lot of your posts end up doing at most points in my life! Haha. Not only is it learning for our students but also our continued learning of ourselves in this teaching business. I am learning about the teaching theory in amongst that mixing pot of everything that is the edu dept at the moment in this point of my career. Each week or little ‘experiment’ I do I learn something new. Not that I am proactively planning ahead to incorporate theory – more so very much on the run – but I think it is working! I think I’m becoming THAT teacher that wants personal reflections and learning journals and questions at the end of the exam about how you’ve changed your thinking from the beginning to the end of the term and using subject matter to support yourself…. I love it! And that’s based from my personal experience and I tell them that and explain my learning and they see the legitimacy and I really hope it is working – developing that self awareness that I lacked in most subjects when I was their age. 🙂 I’m going to give that quote to my Year 12s tomorrow and get them to figure it out! What did your Year 12s make of it? I love what you’ve made of it 🙂 And that you’re becoming THAT teacher!